Fruitless Pursuits: FPcast! The Fruitless Pursuits Podcast for June 9th 2014! Frank vs Dragon vs Viper! FPcast! The Fruitless Pursuits Podcast for June 9th 2014! Frank vs Dragon vs Viper! 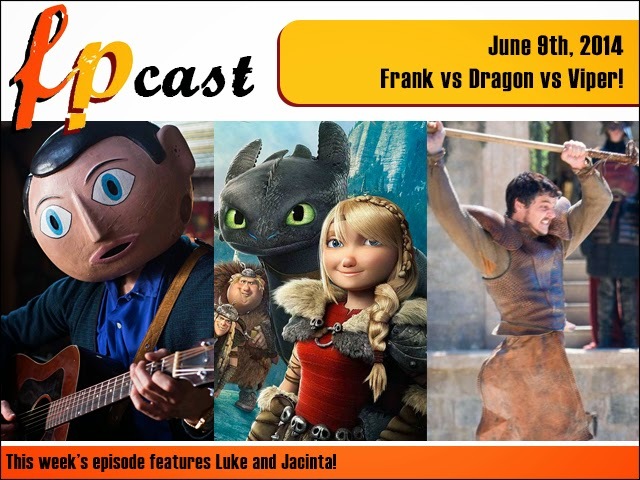 This week we review Michael Fassbender's weird and wonderful giant papier mache head epic Frank, we watch the beautifully crafted How to Train Your Dragon 2, and finally talk about that big ol' fight on Game of Thrones! Plus Marvel and Star Wars movie news and more!